As promised in my previous post, I ate at both shops yesterday. 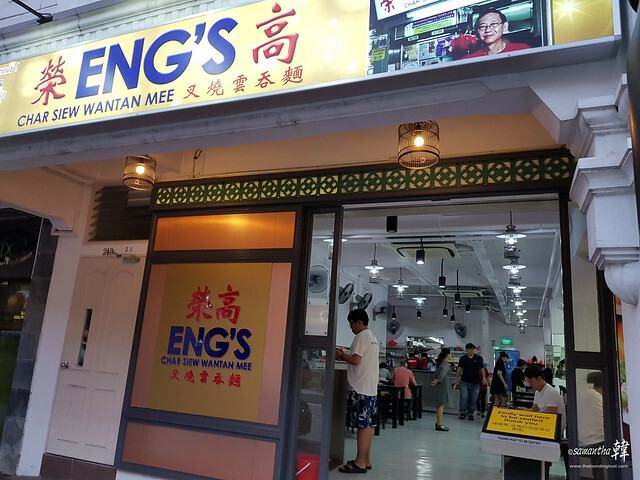 The first stop was Eng’s (Original) Wantan Noodle at 287, Tanjong Katong Road. We had parked behind the shop so we went in by the back door. Entrance from the carpark behind Eng’s (Original) Wantan Noodle at 287, Tanjong Katong Road. Saw a delivery man going in to collect food; I think it’s Deliveroo (not confirmed). 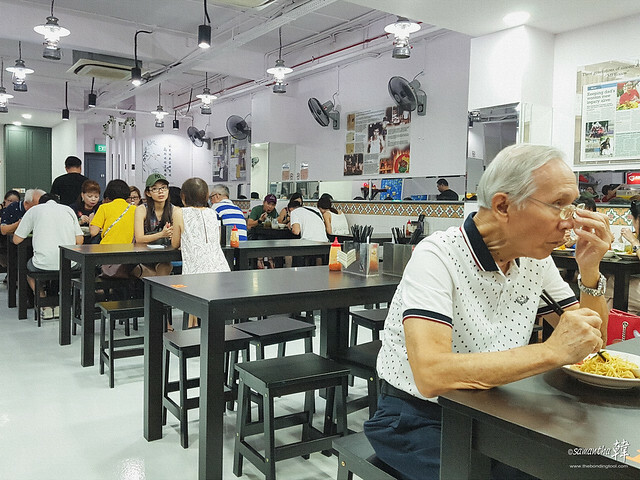 Check your order chit and bring it to the service counter and pay upfront for food. Food and drinks will be served to you at your table. The infamous super HOT chilli is not that intimidating in reality. Food came rather quickly with the crispy fried wantons arriving first. 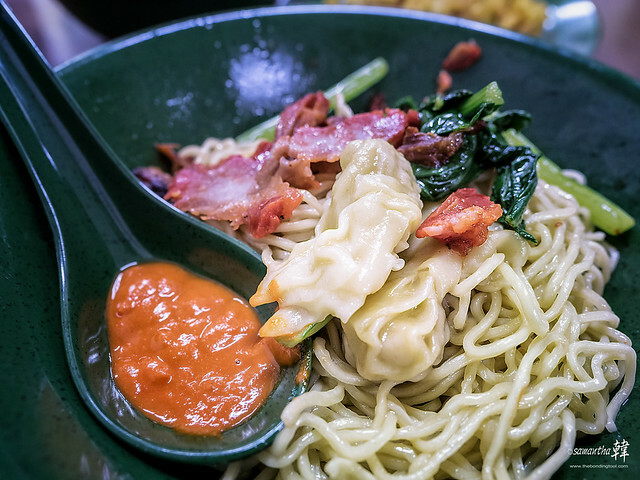 The Wanton Noodle dish came promptly after the wantons. There’s some seasoning mix in the bowl so young kids and non-spicy fans can eat off without adding chilli sauce. 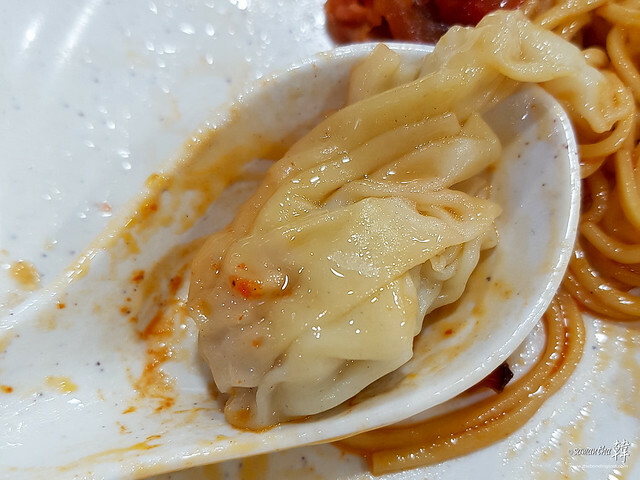 The boiled dumplings had a thick “rim” as the skin-filling ratio weren’t balanced resulting in undercooked wanton skin in that area. The undercooked parts were discarded as there’s alkaline taste unacceptable to me (but some people like that). Eng’s Char Siew Wantan Mee here I come! Across the road to Eng’s Wantan Noodle’s left is Eng’s Char Siew Wantan Mee (two yellow signboards below the street lamp). 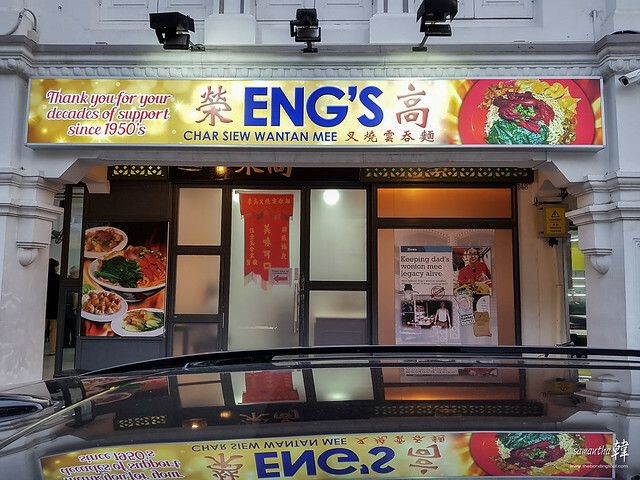 Eng’s Char Siew Wantan Mee at 248/250 Tanjong Katong Road is run by Desmond Ng. Pardon the poor snap shot of the shopfront as I was standing on a busy road with no room to take a full frontal. Similar template of order chit. 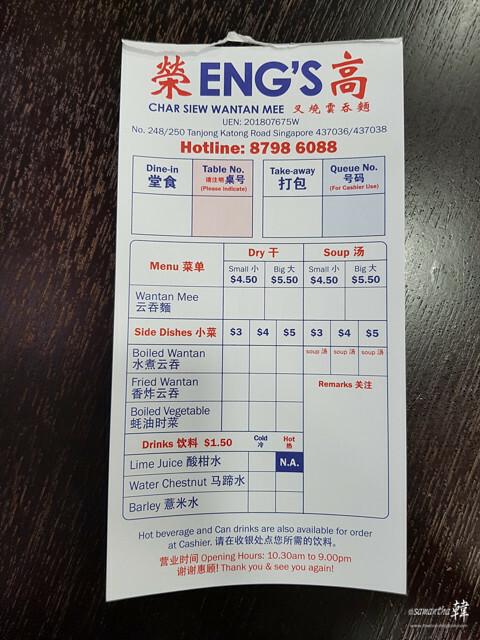 Find a table, write your order, bring order chit to counter and pay there. If you have drinks it’s self service. Go back to table and wait for food. 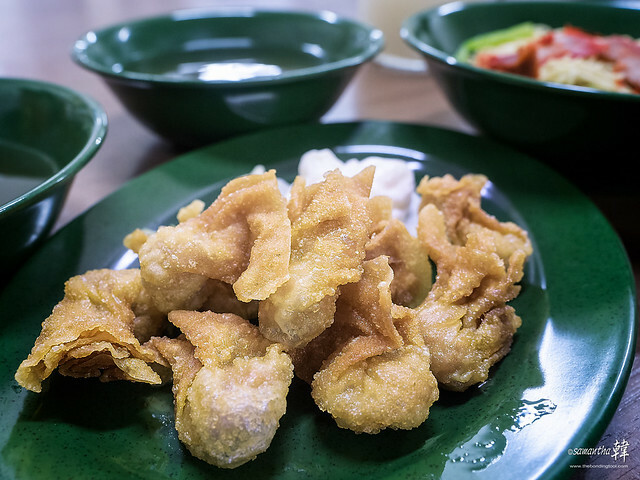 Desmond’s Fried Wantans looked so much more generous. 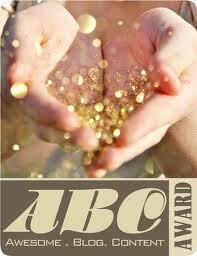 Their appearance alone already scored points with me; bulging parcels in light golden hue. Food were brought to our table all at once. Seated in the middle of the restaurant (I’m facing inward, my back to its entrance), I couldn’t help but noticed a prominent contrast in the shop’s lighting. To my right, the eatery is brightly lit whereas the entrance and towards the drinks service counter were rather dim. From outside, it gave me a feeling as though they were about to close shop for the day. 1) You find a table big enough for yourself and your family/friends or share table with other patrons during peak hours. 2) Write your order on the printed sheets provided at every table, bring it to the cashier’s and pay upfront. Transaction done! 3) Drinks and food items will be delivered to you. Service was fast and efficient. 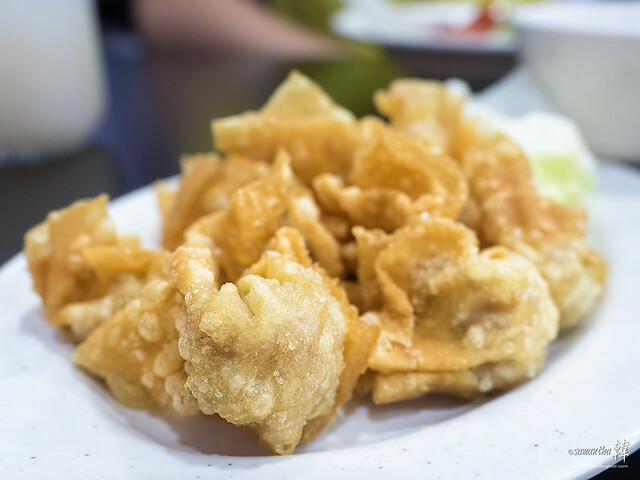 Fried Wantan: Wantans were crispy and hard-textured. If you have soft upper palate, it could poke and hurt you. Technique is to let the filled part into the mouth first. The fillings were almost halved the portion and not as moist in comparison to their rival shop. 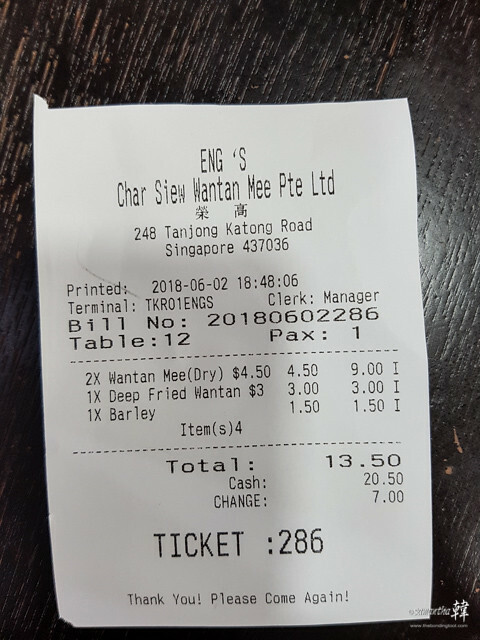 I didn’t count but I think both shops serve 8 dumplings at S$3 per small portion. Soup: The soup had a strange Japanese feel to it. It reminded me of bonito flakes or the like of drinking miso soup. That completely threw me off. I cannot and would not be able relate this soup to wanton mee at all if eating blindfolded. Delightfully, the noodle tasted better than what I remembered from my 2017 visit. The char siew were portioned miserly and served with a few strands of limp chye sim (Chinese mustard leaves). Home-made version that is thick and gooey which is the same as most stalls island-wide (not my kind of drink, I prefer those that were boiled for lesser period of time). System is similar but flow is less fluid. 3) You go to the drinks counter and get your own drinks. Depending on where you are seated – we happened to sit near the entrance so it was a triangular route (to think that we had to self serve, mind you this is a shop not food court. Am I being overbearing? Nah!). Food items will be delivered to you. Service was slower than the original Eng’s but staff is friendly. 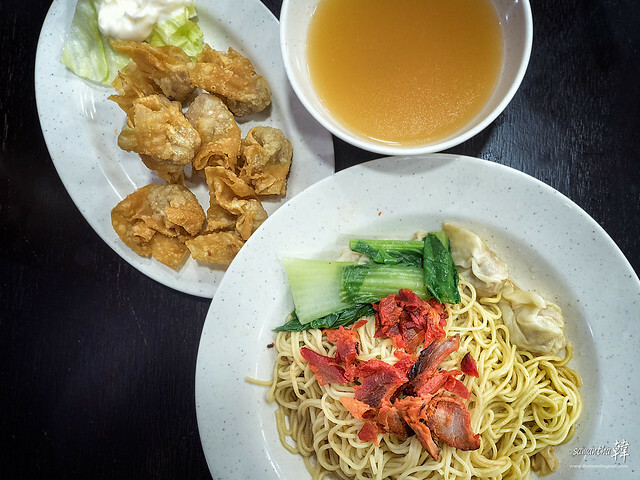 Fried Wantan: Light golden hue in colour (new oil? ), their bulging wantons seemed crispy. 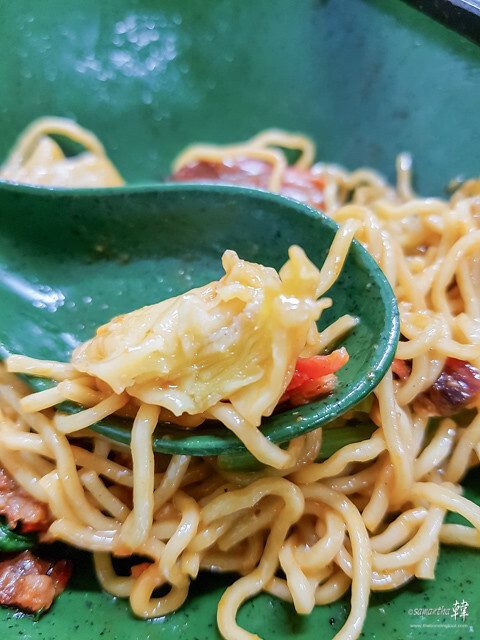 Just its 卖相 (outward appearance) alone, Eng’s Char Siew Wanton Mee’s is a coup de grâce! Took a bite; crunch crunch crunch… Yup, I can also confirm that the filling was indeed moist and definitely more flavoursome than the original Eng’s. 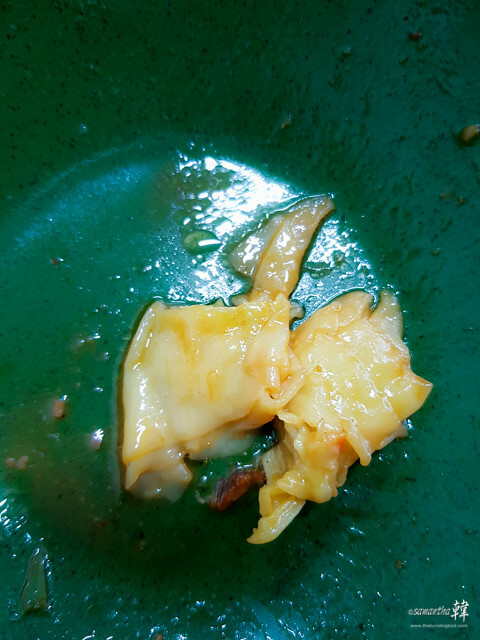 The boiled wantans were also flavourful and juicy and the skin were uniformly cooked through even at the pinched area. Soup: The soup also had a hint of the bonito/miso flavour but very much subtle than the original Eng’s. Both shops’ soup lacked the umami characteristic of broth made with anchovies. 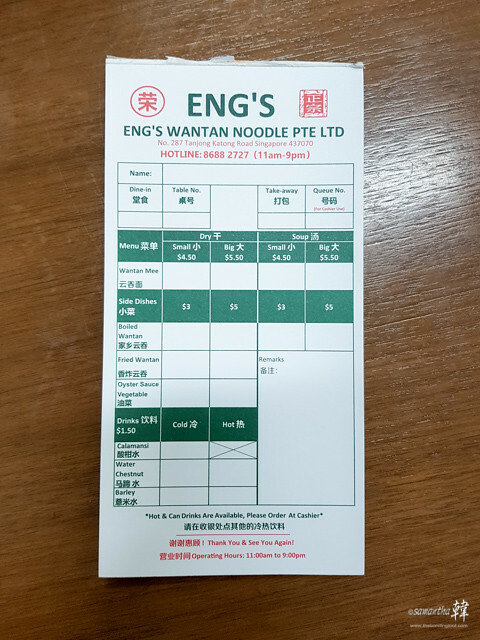 I must stress that the original Eng’s soup tasted sweeter and more bodied even though I could not marry their soup with this type of noodle dish. 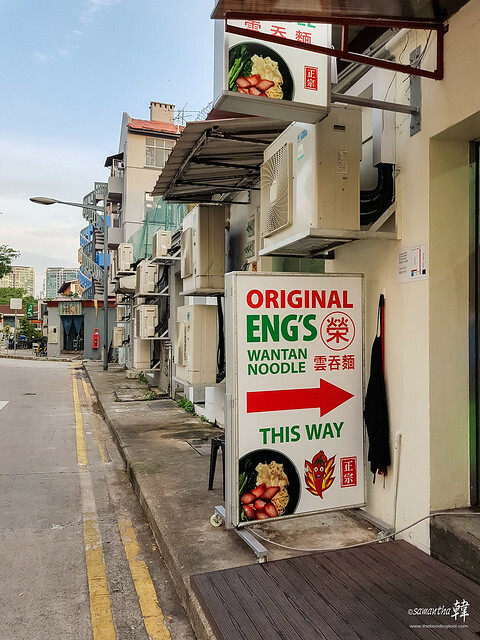 Unfortunately, the noodle did not taste any better than the original Eng’s. Without chilli sauce, their seasoning mix was delicious when I ate the noodle. After adding the chilli sauce which I had tasted on its own which seemed rather raw and bland (just heat and not any more fragrant) when compared to the original Eng’s. Their char siew were overly sweet for my taste. Xiao bai cai (小白菜) or baby bok choy (a member of the cabbage family) was served instead of chye sim. Home-made version that is thick and gooey just like the original Eng’s but somehow seemed more refreshing. Maybe because it was just a tad sweeter and colder which lifted the dull starchy gruel feel. Maybe it’s just my imagination after two rounds of identical menu. 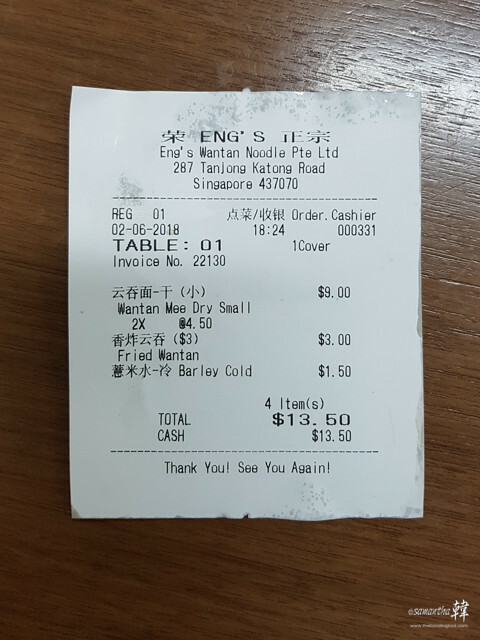 I prefer the chilli sauce from Eng’s Wantan Noodle (Original) because the other tasted a bit “raw” to me. 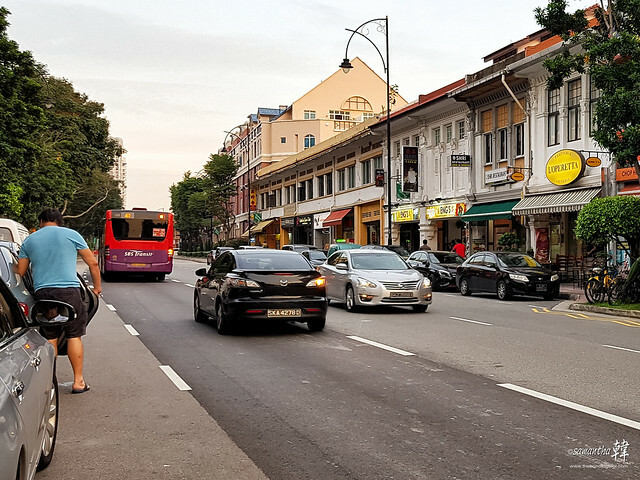 Shop Ambience: I prefer the 287 Tanjong Katong shop. It is bright and well ventilated. The 248/250 shop was a little dingy at the entrance as well as the whole stretch on its left. I am guessing the contractor could not balance the lighting due to the building’s internal structure. There are also many mirrors inside the shop so much so that I’m wondering if they were Fengshui related as those non-full-length mirrors do not seem to play the part of making the shop look bigger. The mirrors do not irk me in any sense, just a note on its decor. What seemed to bother me slightly was the number of mechanical fans mounted on the ceiling and walls – although they are useful climate control great for our thermal comfort, my stray hairs kept poking my eyes due to the wind movement. Sorry, these Asian baby hair will never grow thick enough to be clipped. Our mee and soup also turned cold within minutes. 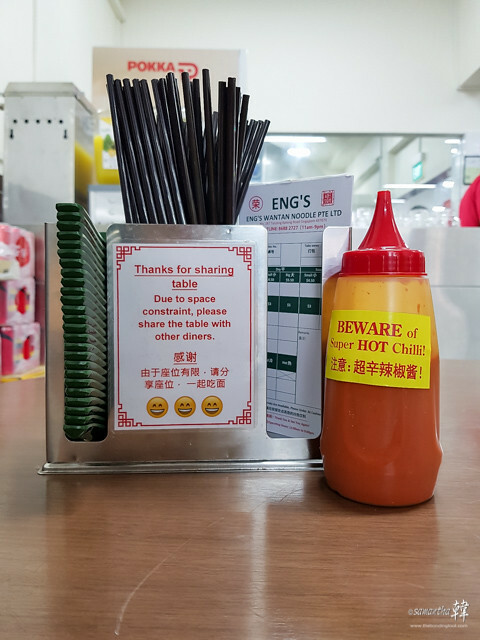 I hope they maintain their fans well (fans are new right now as the shop just opened for business in May) or dust particles may be blown onto our food from all directions. That said, both places were neat as a button, with their tables promptly cleaned as customers leave. If the place is air conditioned, employ air curtains instead. The invisible curtains are usually installed at the entrances or exits of supermarkets, theaters, lounges, shopping malls, lobbies, exhibition halls, churches, shops, manufacturing floors or warehouses. Most of the time, these doorways are kept open all the time for operational purposes. It is also used as a way to separate the smoking and non-smoking areas. Energy is conserved as these curtains help to keep the air conditioned space or heated space to be confined within the building. During hot weather, it creates a barrier that keeps the humid and hot environment outside the building from coming into the conditioned space. By doing this, the internal humidity and temperature of the space are maintained to the comfort level of the occupants. Horns duly retracted and back on track. Taste is personal, it is also emotional and feasibly social. Due to our diverse cultural backgrounds, it is therefore safe for me to assume that we develop and demonstrate exclusive preferences. Every individual’s capacity to sense and accept certain flavours can be extremely subjective when it comes to food. While both the Eng’s seemed to have garnered a huge fan base (and in order not to offend anyone), let’s just say Hee and I would not be headed their way any time soon. Address: 287 Tanjong Katong Road, Singapore 437070. 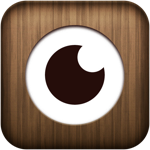 Address: 248/250 Tanjong Katong Road, Singapore 437036. 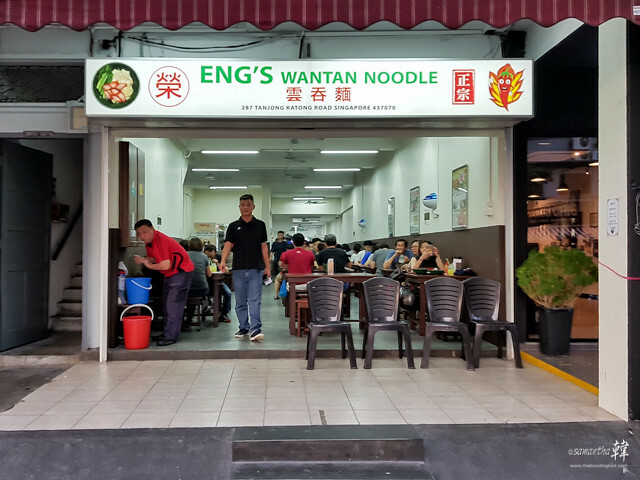 ← Eng’s Wantan Noodle But Which Now That There’s Two?